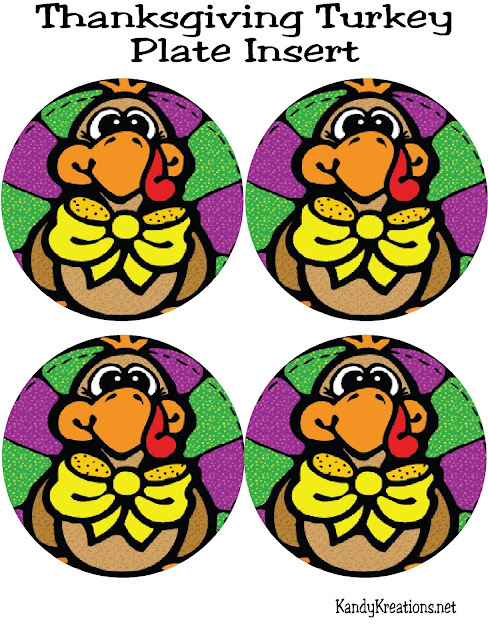 Decorate the kid's table with these fun Thanksgiving turkey plate inserts. Simply glue to the back of a glass plate from Walmart and you have an easy and cute way to dress up your Thanksgiving table. I have so many things to be grateful for this week. I am really grateful to all of you for sticking with me through the past two weeks. I developed blood clots in my arm and leg have been stuck in bed for two weeks waiting for the pain to go away and be able to get back to work. Thank you all for your words of encouragement and your prayers. I'm feeling a lot better now and can even sit at the computer desk for periods of time. 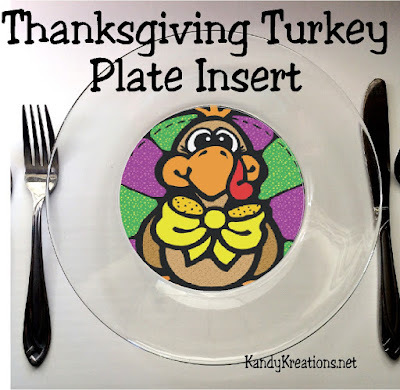 So hopefully I'll be able to share all the fun Thanksgiving crafts and printables I've been meaning to share before Thanksgiving actually gets here. 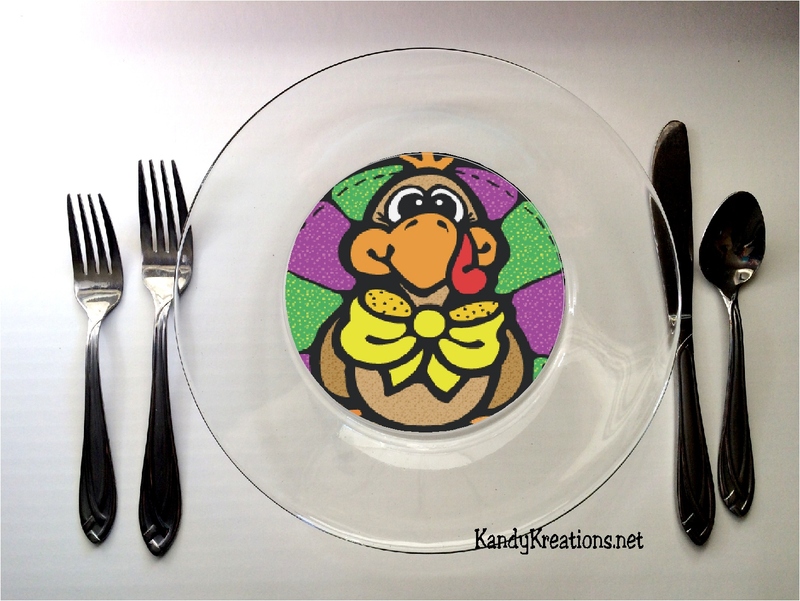 I thought he would make a cute plate insert printable for the kids' table. He's a cute a way to dress up the dinner plate without having to do too much work. Simply save the JPG picture file below. Print and cut out the 4 inch circles. They fit perfectly on to the back of the $1.50 Walmart circle glass plates. Just use a little bit of glue to mount to the center of the back of the plate. He won't be messed up as the kids fill their plates, and he comes off super easy when it's time for clean up! Enjoy your plate insert printable and feel free to stop by my Facebook page and share a picture if you make them! I'd love to see.